German Shepherd breeder Mission Statement. Working line German Shepherd Breeder Mission Statement. To nurture the K9 spirit by raising our dogs in an enriched environment and to increase the health, intelligence, and emotional stability of the German Shepherd Dog. We will not participate in linebreeding or inbreeding practices but will outcrossing all of our German Shepherds to preserve genetic diversity. We strive to produce puppies that are healthy, highly intelligent, mentally stable and capable of going into any type of work, sport or family life desired by their handlers. The dog comes first at Tre'Good German Shepherds. We believe that raising highly intelligent and social German Shepherds begins with an enriched environment rather than warehousing them in kennels. We maintain our dogs in a manner that respects their needs and their right to live a fulfilling life. We believe that family companion traits should be maintained in the German Shepherd Dog. 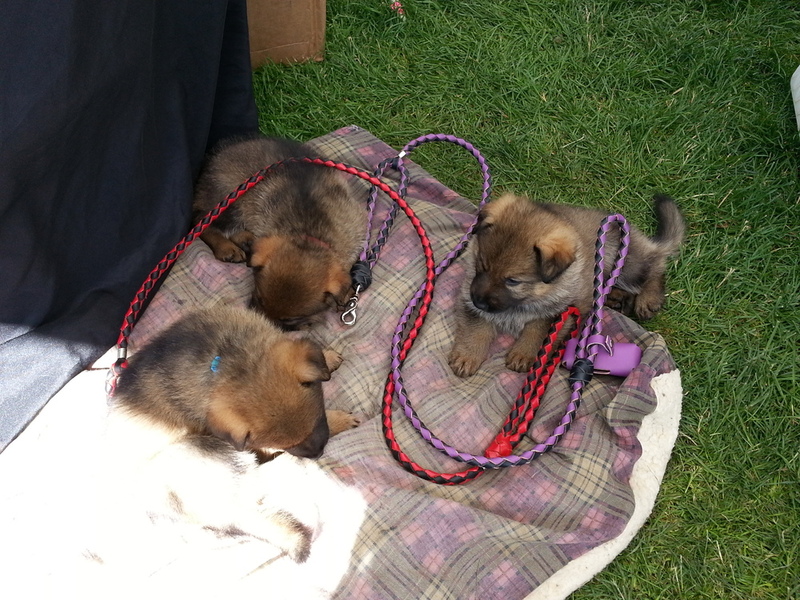 We realize that 80% of German Shepherds sold go to families rather than sport or police work. We have seen first-hand that highly titled Schutzhund/IPO dogs do not always produce the best family companions. We do not want to see the German Shepherd lost to family life and service work. We only breed dogs that have proven themselves day in and day out at home, on city streets, in businesses, traveling, and during family gatherings. 1- Breeding only the best, proven family companion and service dog German Shepherds. 2- Providing early socialization and training to all puppies we sell. 3- Providing lifetime support to all owners of our dogs. 4-By outcrossing our breeding pairs. Please read "Our thoughts On Linebreeding" page.